Departing from two qubba-s, beehive-like tombs from the 19th century in the centre of Khartoum, the author portrays the complicated sequence of power politics in Egypt and in the Sudan, which ‘explains’ the existence of those two burial monuments in an area where most such monuments were destroyed after the Mahdi’s conquest in 1885. These qubba-s are grave monuments of two nineteenth century Circassian governors-general of the Sudan in the service of Viceroy Muhammad ‘Ali and his descendants. In the qubba-s can be seen the passing of an extraordinary age of Circassian prominence in the Nile Valley. Several events contributed to the end of the Circassian importance in international affairs in general and in Egypt in particular, including (a) the elimination of Mamluk recruitment; (b) the conquest of a divided Circassia by Russia; (c) the exile of many Circassians to Turkey, Jordan, and other points in the Middle East; (d) the growth of Arab nationalism in Egypt and other parts of the Ottoman Empire; and (e) the momentous changes in the power structure of the Ottoman government that culminated in the revolution of the Young Turks. Passed every day by thousands of people in the downtown core of Khartoum are a pair of qubba-s, or large, beehive-shaped tombs. Surrounded today by modern office towers, their quiet and dusty façades barely invite a second glance, and they are probably taken by most passers-by to be tombs of a pair of local shaykh-s, as the qubba-style monument is almost universally associated with Islamic saints in the Sudan. 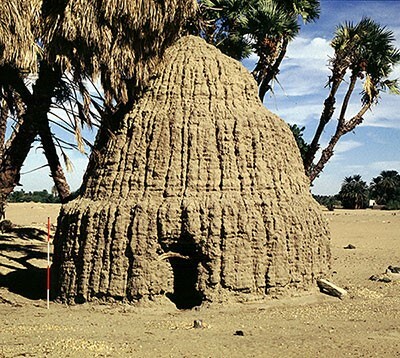 In reality, however, these structures are not religious in nature, but are rather reminders of the great variety of people who arrived in the Sudan in the nineteenth century, some to rule, some to exploit, some to develop and some to colonize. Drawn from Europe, the Maghrab, the Caucasus, the Middle East and even Central Asia, most of these individuals came voluntarily to participate in the opening of this vast country, while others arrived on orders or even in chains as prisoners in forced exile. Notable among these were the many Circassian military men in Egyptian service, often rising from slavery to assume vitally important positions in the Sudanese administration. The qubba-s on ‘Abbas Avenue are almost unique examples of ‘secular’ monuments of this type in the Sudan as they mark the burials of two nineteenth century Circassian governors-general of the Sudan in the service of Muhammad ‘Ali and his descendants. Many examples of qubba-s devoted to Sudanese holy men are surrounded by subsidiary burials as followers and even later generations hope to partake in the baraka of the shaykh through burial close to his monument. Mimicking this pattern of burials, the secular qubba-s of ‘Abbas Avenue are likewise accompanied by a number of subsidiary graves, including those of a pair of notable native Sudanese officers of the Egyptian army who pursued service as far afield as Greece, the Crimea and Mexico. After the abandonment of Khartoum following the Mahdi’s conquest in 1885 and the subsequent demolition of all major buildings for materials for the new ‘Islamic’ capital of Omdurman across the White Nile, the Circassian qubba-s became virtually the only intact remnants of the pre-Mahdist Sudanese capital. It would seem logical to assume that these tombs evaded destruction by the religiously inspired Mahdists through their resemblance to the tombs of Islamic holy men, but the reasons for their survival may be much more complex. The Circassians (also known as Cherkess and Adyghe) who occupied the western half of the north Caucasus are among the most ancient of the region’s innumerable ethnic and linguistic groups. By the tenth to thirteenth centuries AD the Circassians began to consolidate themselves on the Black Sea coast, trading with Byzantium and the Mediterranean merchant cities. Among the products dealt were highly prized Circassian slaves, the women esteemed for their beauty and the young men for their military prowess (Allen, 1970). Nominally Christian with many pagan traditions, the Circassians turned to Islam (introduced by Crimean Tatars) in the 17th and early 18th centuries as a reaction to the Russian threat from the north. The Circassians were politically tied to the Ottoman Empire, but disunity amongst the various tribes allowed Russia to militarily penetrate their homeland. In the 1829 Treaty of Adrianople (Edirme), the Ottoman Empire gave up all claims on the fertile Circassian homeland, but in the 1830s a sense of national identity was formed with British and Ottoman encouragement. Foreign intervention on behalf of the Circassians seemed possible during the early stages of the Crimean War, but eventually the Allies (Britain, France and Turkey) decided to make a landing on the Crimean peninsula rather than the Black Sea coast, despite Turkish support for military intervention in the Caucasus. Major Russian operations resumed in 1862, and after 35 years of nearly constant warfare, Circassian resistance collapsed in 1864, with four to five hundred thousand Circassians being driven from their lands into ships destined for Turkey. Heirs to a proud warrior tradition, some Circassian chiefs were said to have ridden their horse into the Black Sea, drowning themselves in full warrior’s regalia. By 1866 as many as one million Circassians had been driven from their homes, many perishing of disease, exposure and starvation in the process. A last effort to retake Circassia came in 1877, when large numbers of Circassians joined in the Ottoman invasion of the Black Sea coast; though initially successful, the attempt was eventually abandoned (Allen and Muratoff 1953). A large Circassian diaspora emerged from this catastrophe, in which the Circassians were dispersed to communities in Turkey, Jordan, Syria and Palestine, though the displaced Circassians continued to have great success in the armed forces and royal guards of their adopted countries. The Circassian homeland was eventually broken into three autonomous republics, Adygea, Karachai-Cherkessia and Kabardino-Balkaria, in each of which the Circassians now form a small minority (Habjoka 1972). To explain the burial of two Circassian military men in religious-style tombs in Khartoum we must first briefly look back to Egypt in 1260 AD, when the powerful class of military slaves known as Mamluks seized power from their masters and created their own unique dynasty. The Mamluks were not Egyptians themselves, but were instead purchased as boys from dealers in the Caucasus mountains, Turkestan, and even Mongolia. They were succeeded in power not by their own children, but by new slaves imported from far beyond Egypt. In 1382, the Circassian faction of Mamluks from the North Caucasus gained dominance and spent the next 135 years battling each other while terrorizing and pillaging their hapless Egyptian subjects. The Ottoman invasion of 1517 did not end Mamluk authority as expected, but in many cases only supplied the Mamluks with a new series of Ottoman governors to bully and torment. The end of this system of misgovernment arrived in the person of Muhammad ‘Ali at the head of 10,000 Albanian troops in a combined Ottoman-British invasion of French-occupied Egypt. Seizing power in 1803, Muhammad ‘Ali followed a policy of massacres against the Mamluks while also cutting off the supply of new slaves from Circassia and Georgia. By 1811, Muhammad ‘Ali had succeeded in destroying the Mamluks as an institution, but the resilient Circassians continued to wield considerable control and influence in Egyptian affairs for the next 70 years, although they were now under the vigilant eye of the Viceroy and his successors. Culturally aligned to the Ottoman Turks through their shared use of Turkish rather than Arabic, the Circassians formed part of a Turko-Circassian elite in Egypt that enjoyed a monopoly on force and the major state offices despite their small numbers. Probably only 1% of the population at the beginning of the 19th century, the supply of fresh Circassian slaves began to diminish under the Viceroy’s rule, and the children of Turko-Circassians began to be raised as Arabic-speaking Egyptians. Growing numbers of native Egyptian administrators and the concurrent growth of Arabic as the language of government meant that by the 1870s the term ‘Turko-Circassian’ had lost much of its ethnic meaning, instead indicating more of a socio-economic class. The use of Ottoman Turkish in government had long kept Egyptians from public office, but long after the use of Arabic and French had become common in many ministries, the Egyptian Army retained Turkish as the language of command, allowing the Turko-Circassians some leverage in keeping a lingering grip on their previous monopoly on force. The development of a nascent Egyptian nationalism behind Ahmad ‘Urabi was in large part a response to the entrenchment of the wealthy, land-holding Turko-Circassian elite, but many Circassians realized that their grip on Egypt was highly tenuous, and the Circassian nobles and officers split into Ottoman and ‘Urabist factions. With the ‘Urabist nationalists in power, a number of Circassian staff officers attempted a coup in 1882 designed to preserve the old order. The rising was thwarted and the officers were sentenced to exile in the Sudan (later commuted to exile in Turkey by Khedive Tawfiq, a virtual non-punishment) (Cole 1993: 237-238). Some few hundred Mamluks escaped Muhammad ‘Ali’s wrath by fleeing to the Sudan, and in an effort to eliminate these and to acquire at the same time large numbers of black slaves to swell the ranks of his army, Muhammad ‘Ali sent his son Isma’il to the Sudan at the head of a large invasion force in 1820. Isma’il was also entrusted with the task of exploiting the supposed gold fields of Sinnar. The army was a motley collection of Turkish troops, Bedouin, Bosnians, Magharba volunteers and Bashi-Bazouks,  loosely disciplined irregulars (mostly Albanians, Circassians, Kurds and Slavs). The army also included a battery of field artillery, which was to prove decisive in several engagements ahead. The advance of Isma’il’s force was unopposed until they reached the land of the Sha’iqiya, along the Nile in the region between Korti and the fourth cataract. Proud and warlike, the Sha’iqiya courageously but futilely charged the Egyptian guns in two battles in December 1820. Heavy Sha’iqiya losses on the battlefield were followed by the brutal mutilation of many of the civilian population by Turkish troops. Despite this, the surviving Sha’iqi warriors were recruited into Turkish service and remained among the most effective instruments of force available to the regime until its demise 65 years later. Reaching Sinnar on the Blue Nile in June 1821, a detachment under the Viceroy’s capable son Ibrahim Pasha received the submission of King Badi IV, ruler of the now decrepit Funj empire. The conquest of Fur-ruled Kordofan was entrusted to Muhammad ‘Ali’s son-in-law, the Daftardar Muhammad Bey Khusraw. Again Turkish guns laid waste to the chain-mailed cavalry of the Fur governor and his Arab allies at the battle of Bara. Only the outbreak of an anti-Ottoman rebellion on the Greek island of Morea prevented a further invasion of Darfur itself. Turkish troops throughout the new territories were immediately put to the task of enslaving tens of thousands of the Viceroy’s new subjects (as well as their neighbors) and shipping them to Cairo. Isma’il was constantly spurred on by his father, who was desperate to fill the ranks of the nizam al-jadid, his new army of black slaves and Egyptian fellahin (agricultural peasants). Muhammad ‘Ali stated these recruits were ‘worth even more than jewels’ (Douin 1944: 277-285). Massive new tax levies were instituted to compensate for the failure of the Turks to discover the long rumoured gold sources of Sinnar and Kordofan. While the early years of the occupation might be termed ‘rule by razzia,’ there were exceptional administrators such as ‘Abdin Bey al-Arna’ut (‘the Albanian’), who made many improvements as governor of Dongola (1821-26). The stability of Dongola was unusual, however, as rebellion flickered throughout the new Egyptian territories. On an inspection tour of Shendi in 1822, Isma’il made insulting and unreasonable demands for slaves and cash from the Ja’aliyin mek (king), Nimr Muhammad. Mek Nimr responded by uniting with his cousin Mek Musa’ad to brutally kill Isma’il and his entourage. With Muhammad ‘Ali’s new heir Ibrahim needed in Egypt to deal with rebellious fellahin, the suppression of the Arab revolt that followed Isma’il’s death was left to the Daftardar, Muhammad Bey Khusraw, who accomplished the task through massacres and relentless cruelty towards the rebels and the innocent alike. Before being relieved in 1824, the atrocities carried out by the Daftardar in Sudan coloured Sudanese attitudes towards the ‘Turks’ for the remainder of their administration. Muhammad Bey Khusraw was eventually judged a liability by his father-in-law, the Viceroy, and was poisoned on the Viceroy’s orders in 1833. The administration of the Turko-Egyptian regime changed little with the arrival of a new governor for Sinnar and Berber at the head of a regiment of the nizam al-jadid. ‘Uthman Jarkas al-Birinji was a middle-aged Circassian Mamluk of the Viceroy’s household who attempted to revive the Mamluk style once in Sudan by recruiting fourteen other Mamluks as a personal bodyguard. These efforts brought admonishment from the Viceroy, and ‘Uthman’s brutal attempts to collect the excessive taxes drove the all-important cultivators of the fertile Gezira region into the desert to perish of starvation and disease. After ‘Uthman’s sudden death in 1823 he was replaced by a Kurd, the Mamluk Mahu Bey Urfali. Mahu accomplished much in his single year as governor, pacifying the country, suspending tax collection for three years, decentralizing the administration and restoring discipline to the marauding troops. Nevertheless, the Viceroy desired another hand at the helm, and installed ‘Ali Kurshid Agha as the Sudan’s first hikimdar (governor-general) in 1826. Muhammad ‘Ali’s conquest of the Sudan gave ambitious Circassians a new field in which to resume their ruling ways at some distance from the ever-suspicious Viceroy while still being officially engaged in his service. The qubba-s in downtown Khartoum memorialize two such men. The first of these is Ahmad Pasha Abu Adhan, Governor-General of the Sudan from 1839 to 1843. Brought to Egypt as a Circassian slave, Ahmad Pasha was a career soldier who fought under Muhammad ‘Ali’s son, Ibrahim Pasha, in Arabia, Syria and Greece. After serving as Egypt’s Minister of War, Ahmad Pasha’s first task as Governor-General was an eight-month campaign undertaken in 1840 to subjugate the Hadendowa tribe of the Beja in the east part of the Sudan. Taking Kassala following heavy fighting, Ahmad Pasha then embarked on a large raid into the Blue Nile area in search of slaves for Muhammad ‘Ali’s army. According to one source, his force of nearly 5,000 men and artillery was soundly routed by a desperate charge of spear-carrying tribesmen at Kormuk (Paton 1863: 227-231). In 1843 Muhammad ‘Ali ordered the preparation of a large force to invade Darfur, an independent sultanate west of the Sudan, but the operation was called off at the last minute because Muhammad ‘Ali began to suspect Ahmad Pasha of treasonous activities. The Western qubba on ‘Abbas Avenue is that of Musa Pasha Hamdi, Governor-General of the Sudan from 1862 to 1865. Musa Hamdi was a Circassian soldier of long experience in the Sudan. His career began when he was sold as a slave in the Cairo market to a Turk. Enrolled in the army, Musa Hamdi was captured in a campaign against the Syrians, but succeeded in escaping. Musa Hamdi progressed quickly through the ranks due to a combination of cunning and ruthlessness, and despite being dismissed at one point for his inhumane treatment of prisoners (an accomplishment at a time when taxes were collected through beatings and conscripts were transported in chains), Musa Hamdi was soon appointed to a succession of important posts. When made Governor-General, Musa Hamdi brought with him a reputation for cruelty demonstrated in campaigns against the Beja in the eastern Sudan. Although several of his predecessors had taken steps against the Sudan’s immense trade in slaves, Musa Hamdi allowed the slave trade to resume unhindered. Taxation was also raised to unsustainable levels and it was not long before the Sudan’s administration became a net drain on the Cairo treasury. In the south the Governor-General came into conflict with several of the often-large private slave armies created by Nubian and Arab traders and slavers from the north Sudan. A successful raid on Abyssinia resulted in Musa Hamdi’s promotion to the third grade of pasha (Rumeli beylerbeyi), but a later expedition against the Nuba of Southern Kordofan ended in defeat for the Governor-General. Musa Hamdi solved the problem of a large and under-utilized army in the Sudan by loaning regular troops to slave-raiders in the South. The Governor-General’s short rule ended with his death from smallpox in Khartoum in 1865. His successor defamed him as ‘a drunkard, a gambler, and a thief,’ though it was the practice for new governors to denigrate their predecessors so as to make their own regimes shine in comparison. Samuel Baker, who knew the Governor-General, described Musa Hamdi as ‘a rather exaggerated specimen of Turkish authorities in general, combining the worst of oriental failings with the brutality of a wild animal’ (Baker 1877: 8). HA MacMichael, a later Governor-General of the Sudan, remarked of Musa Hamdi that ‘murder and torture were no more to him than pastimes’ (MacMichael 1922: 429). As mentioned above, Islamic qubba-s are typically surrounded by the graves of followers and descendants of the shaykh within, a pattern followed by the monuments of ‘Abbas Avenue, which are accompanied by a handful of lesser burials. Among these is that of Muhammad Bey Almas (or al-Maz). A Dinka from the south Sudan, Muhammad Almas entered the Turkish-Egyptian army as a common soldier in 1834 and eventually rose to the rank of commissioned officer. Far from the Sudan, the manipulations of the French emperor Napoleon III in Mexico were to have an unforeseen effect on the lives of Almas and many of his fellow Sudanese comrades-in-arms. Napoleon III committed a large number of French troops in 1862 to support the ambitious attempt to place a Hapsburg royal on the throne of Mexico, but Yellow Fever and malaria proved devastating to the French troops. The French Emperor was increasingly involved financially with Egypt, and his request for the loan of black troops used to such conditions for use in the most fever-ridden areas was met with approval. By January 1863 Muhammad Almas was on his way to Mexico as second-in-command of 447 Sudanese soldiers, assuming command of the regiment shortly after the death of its commanding officer, Binbashi Jubarat Allah. A second military burial at the site is that of Adham Pasha al-‘Arifi (commonly called al-Taqalawi). Born in the Nuba hills of Southern Kordofan, al-‘Arifi, probably a Nuba in origin, was one of the first black Sudanese to be taken to Egypt for a military education. After his training, al-‘Arifi fought in Muhammad ‘Ali’s campaigns in Syria before serving as second in command of a regiment of Sudanese troops (the 9th) sent to the Crimea in 1853 as part of the Ottoman expeditionary force. After fighting the Russians, al-‘Arifi returned to the Sudan in 1862, where he embarked on a tax-collecting campaign in the Fazughli mountains of the Blue Nile region. In 1865 Cairo issued orders for a battalion to be formed from black troops stationed in Kassala for the relief of the Sudanese battalion already in Mexico. The Kassala garrison mutinied, and al-‘Arifi was placed in command of one of three columns sent to suppress the mutineers. Al-‘Arifi persuaded the garrison to surrender, but they were then executed to a man, despite Al-‘Arifi’s protests. His own role in the affair nevertheless brought al-‘Arifi promotion and eventually the post of acting Governor-General in 1872 while serving as commanding officer of all troops in the Sudan (Hill 1967: 27). Several other tombs are found on the site, including that of the wife of Mari Bey. Mari Bey (also known as Békir Agha, and Békir Bey) was a Corsican adventurer who claimed to have served under Napoleon as a colonel, though others insisted he was only a drummer; hence his nickname, ‘Le Colonel Tapin’. Appointed an instructor in Muhammad ‘Ali’s army, Mari Bey campaigned against the Wahhabites in Arabia and against the Greeks in Morea. By 1834 he was on the staff of Ahmad Pasha in Arabia. While serving as a prefect of police in Cairo in 1853 he fell into disfavour with ‘Abbas I and was temporarily exiled to Khartoum, where his wife died and was buried beside the qubba of his old commander, Ahmad Pasha. The last tomb on the site belongs to Ibrahim Bey Marzouk, an Egyptian writer who appears to have been of some influence in Khartoum, having once served on a commission of inquiry regarding government corruption. Qubba-s are found mainly along the Blue Nile and the Nile north of Khartoum, though isolated examples are found through most of Muslim Sudan. The qubba is always a holy place, and the fenced area around it is also haram, a sanctuary where a traveler’s goods can be left safely and without interference. The qubba-s are sites of local pilgrimage on holy days, or on occasions when it is necessary to make a special request from the saint. A solemn oath may also be sworn at a qubba belonging to a family ancestor. 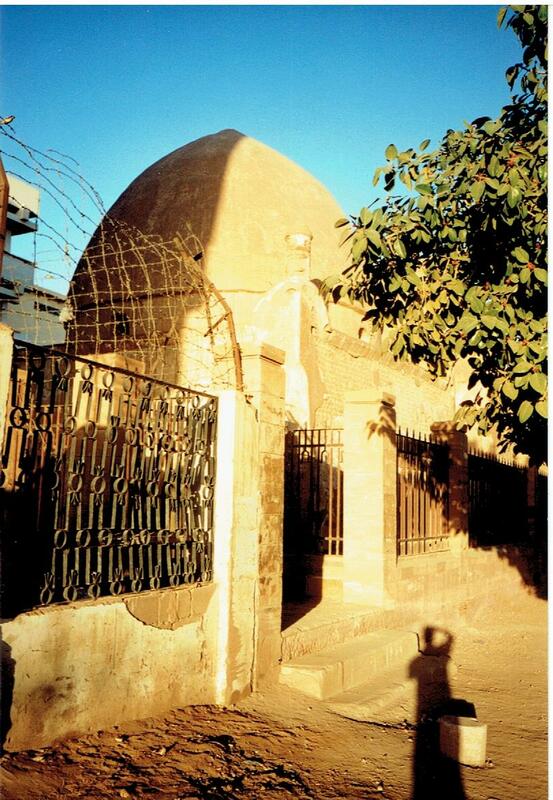 The qubba of Ahmad Pasha, the earlier of the two on ‘Abbas Avenue, represents the beginning of the last phase of development of Sudanese qubba-s, using a cube foundation with a beehive cupola, the two being mediated by a polygon in the middle. In the ‘Abbas Avenue examples and in another qubba at Mekali (that of Al-Shaykh ‘Abd Allah al-Halengi) each of the foundation corners supports a phallic-shaped column. This type of ornament evolved into a more elaborate small dome supported by four open arches, as in the Mahdi’s tomb and others in Omdurman (as-Sadig 1966; Humudi 1977: 107-116). How did these small burial structures on ‘Abbas Avenue come to be the last remnants of pre-Mahdist Khartoum? Their outward appearance as religious sanctuaries does not appear sufficient reason when the historical record is examined. 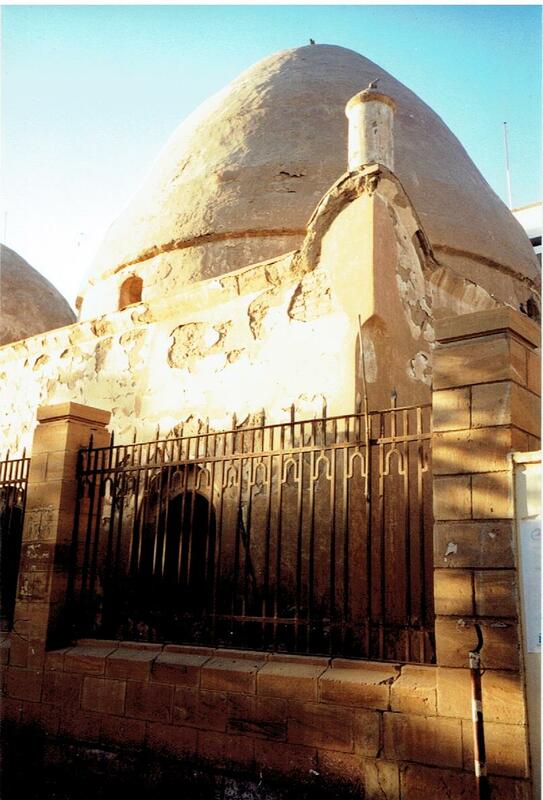 The tombs were those of major figures in the hated Turko-Egyptian regime, and while the vast majority of the Mahdists were illiterate tribesmen from the west Sudan, the identity of the occupants of these qubba-s would have been no mystery to Islamic scholars such as the Mahdi or to the many former members of the Turko-Egyptian regime who had fallen in with the Mahdists, and who would know the true nature of the tombs’ occupants or at least be able to read the inscriptions found there. 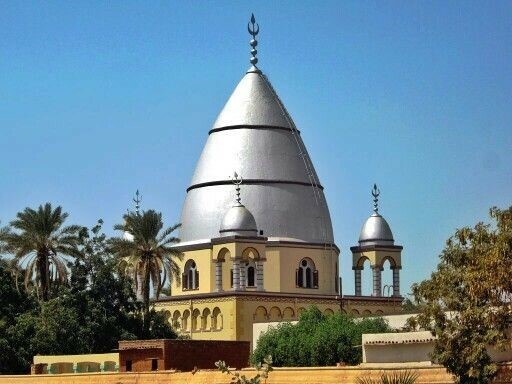 Islamic associations were not alone enough to prevent the destruction of a structure by the Mahdists: the Great Mosque of Khartoum was dismantled for building materials shortly after the Mahdist victory, and it is further known that the Mahdists destroyed the qubba of al-Hasan al-Mirghani (1810-69) in Kassala because of his son’s opposition to the Mahdi and his successor, the Khalifa. In these circumstances it is all the more puzzling as to why these two ‘secular’ qubba-s, representative of the cruelty and extortion of the Turko-Egyptian regime, should have survived the abandonment and destruction of the rest of the city. It is suggested that, given the structural similarity between the ‘Abbas Avenue qubba-s and the much grander tomb of the Mahdi in Omdurman, that the Circassian qubba-s served as architectural models for the tomb of the Mahdi, who died very shortly after the fall of Khartoum. As the rest of Khartoum was dismantled, these qubba-s were spared the fate of the rest of the city through their association (however tenuous) with the Mahdi. These tombs, representative of the old order, could owe their preservation to the sanctity of the man who forever destroyed that old order in the Sudan. Egypt’s ‘civilizing mission’, some have disclaimed Egyptian involvement in what was in reality an Ottoman Turkish administration, and still others have blamed the ills of the administration on the Europeans introduced to the Sudan government by Khedive Isma’il in the 1870’s. Sudanese scholars have used Egyptian correspondence of the period to reject any notion of Egypt carrying out a ‘civilizing mission’ above and beyond the exploitation of Sudanese resources and peoples, and further emphatically dispose of the idea that the Sudanese umma required Egyptian guidance in religious affairs (Warburg 1992). While the Turko-Circassians did open the Sudan to world markets and created a centralized administration, the devastation wrought by a brutal and wasteful slave trade, the consequent depopulation of viable economic areas, and the use of forced labour on over-ambitious and ultimately unsuccessful attempts to exploit the country’s natural resources meant that the Sudan’s financial books were doomed to drown in red ink even before corrupt administrators of each level of government took their take of the official revenues. On the other hand, we may see in the careers of the two Sudanese officers the entry of the black tribes of the south Sudan onto the modern international scene. Born into a world where most people rarely ventured far from their village, these Nuba, Dinkas, Shilluks and others represented their little known peoples with distinction in such far-flung places as Syria, Russia, France and Mexico. Though they, like the Circassians, began their Egyptian service as slaves, they were pioneers in the transition of power in the Sudan from the varied ‘Turk’ races of the Ottoman empire to the Sudanese nationalists who would eventually guide the Sudan to independence. [AIS Update – December 2016] – The author made several visits to the site in the 1980s and 1990s, which was, at the time, close to a road sign that read “Abbas Avenue.” It was later learned that the avenue had been renamed al-Baladiya Avenue at some point after independence, though apparently the old road signs had not been removed. The qubba-s can be found on al-Baladiya (formerly Abbas) between al-Qasr Avenue and Babiker Badri Street. The author regrets the mistake. The precise figures have been the subject of some dispute; see Henze (1992: 103-104). For the role of the Circassian elite in a changing 19th century Egyptian society, see Abu-Lughod (1967: 325-344). Turkish: basibozuk, literally ‘crack-brained.’ Lively accounts of service in such units can be found, for example, in Money (1857) and Vizetelly (1897). The Daftardar was the Egyptian government Intendant of Finance. Hill 1967: 41-42. For details of the controversy, see Santi and Hill (1980: 87-89) and Hill (1956: 83-87). The Sudanese and French were only part of a polyglot force that included Austrians, Belgians, Mexicans, Legionnaires and Martinicans. A full history of the Mexican campaign is given in Hill and Hogg (1995). A colourful first-hand account can be found in Jifun (1896). See also Ravert and Dellard (1894: 43-53, 104-23, 176-85, 230-45, 272-85). Gordon is quoted in Daniel (1966: 426). For British views of the Turko-Egyptian regime, see Schuster (1979) and MacMichael (1934: Ch. 3). The post-Communist efforts to unite the Circassian diaspora are described in Smith (1998 : 92-95). Abu-Lughod, I. ‘The Transformation of the Egyptian Elite: Prelude to the ‘Urabi revolt’. Middle East Journal, Summer 1967: 325-344. Allen, W. E. D. 1970. Russian embassies to the Georgian kings (1589-1605). Volume 1. Cambridge: Haklyut Society. Allen, W. E. D. and Muratoff, P. 1953. Caucasian battlefields: A history of the wars on the Turco-Circassian border, 1828-1921. Cambridge. as-Sadig, S. O. 1966. 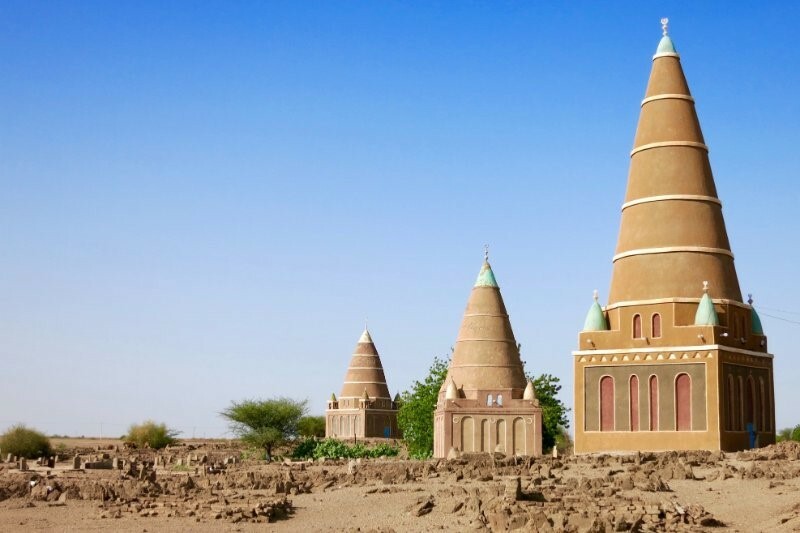 The Domed Tombs of Eastern Sudan: Their functional, cultural and psychological values. Unpublished MA Thesis, University of Khartoum. Baker, S. W. 1877. The Albert N’yanza. London. Broxup, M. E. (ed.) 1992. The North Caucasus barrier: The Russian advance towards the Muslim world. London. Cole, J. R. 1993. Social and cultural origins of Egypt’s ‘Urabi movement. Princeton, New Jersey. Daniel, N. 1996. Islam, Europe and Empire. Edinburgh. Douin, G. 1944. Histoire du Soudan Égyptien, Vol.1, La Pénétration, 1820-22. Cairo. Habjoka, S. M. 1972. Heroes and Emperors in Circassian History. Beirut. Russian advance towards the Muslim world, Marie Bennigsen Broxup (ed.). London. Hill, R. 1956. ‘Death of a Governor-General,’ Sudan Notes and Records 37. Hill R. 1959. Egypt in the Sudan, 1820-1881. Oxford. Hill, R. and Hogg, P. 1995. A Black Corps d’Élite: An Egyptian Sudanese conscript battalion with the French army in Mexico, 1863-1867, and its survivors in subsequent African history. Michigan: East Lansing. Humudi, S. T. 1977. ‘Arab and Islamic origins of the tomb and enclave in the Sudan.’ Sudan Notes and Records 58: 107-116. Jifun, A. (Translation: Bey, P. W. M.) 1896. ‘The Story of Ali Jifun,’ The Cornhill Magazine, new series 1. London. MacMichael, H.A., 1934. The Anglo-Egyptian Sudan. London. Money, E. 1857. Twelve Months with the Bashi-Bazouks. London. Paton, A. A. 1863. A History of the Egyptian Revolution, Vol.II. London. Santi, P. and Hill, R. (eds.) 1980. The Europeans in the Sudan, 1834-1878. Oxford. Schuster, G. 1979. Private work and public causes. Wales: Cowbridge. Smith, S. 1998. Allah’s Mountains: Politics and war in the Russian Caucasus. London. Vizetelly, E. 1897. The Reminiscences of a Bashi-Bazouk. Bristol: Arrowsmith.